USB-C™ Charger Kit + Cable (USB Type-C™) is rated 2.0 out of 5 by 1. 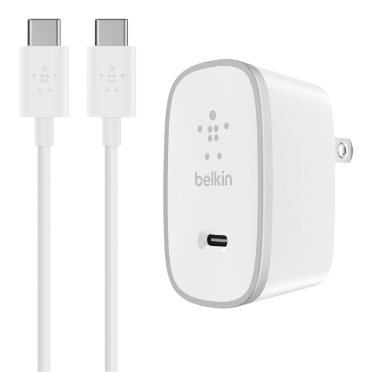 Get charged up quickly and safely at home or on the go with the USB-C Charger Kit + Cable. 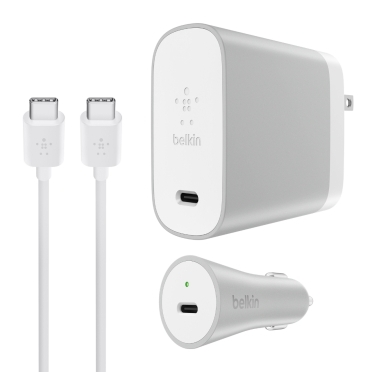 With 15W capabilities, this charging bundle will charge your USB-C device 50% faster than regular 5-Watt charging. * The 3 in 1 charging bundle comes with a home and car charger for USB-C devices, which means you’ll never be too far away from a full charge. The included USB-C cable has a reversible connector for quick and easy transfer of photos and files. 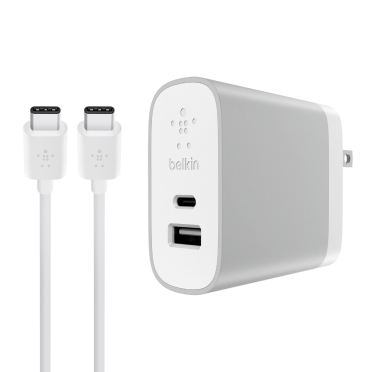 The 15W USB-C Charger Kit + Cable allows safe and rapid charging of your USB-C devices. 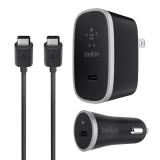 This means up to 50% faster charging for smartphones* and convenient charging for larger devices such as tablets. 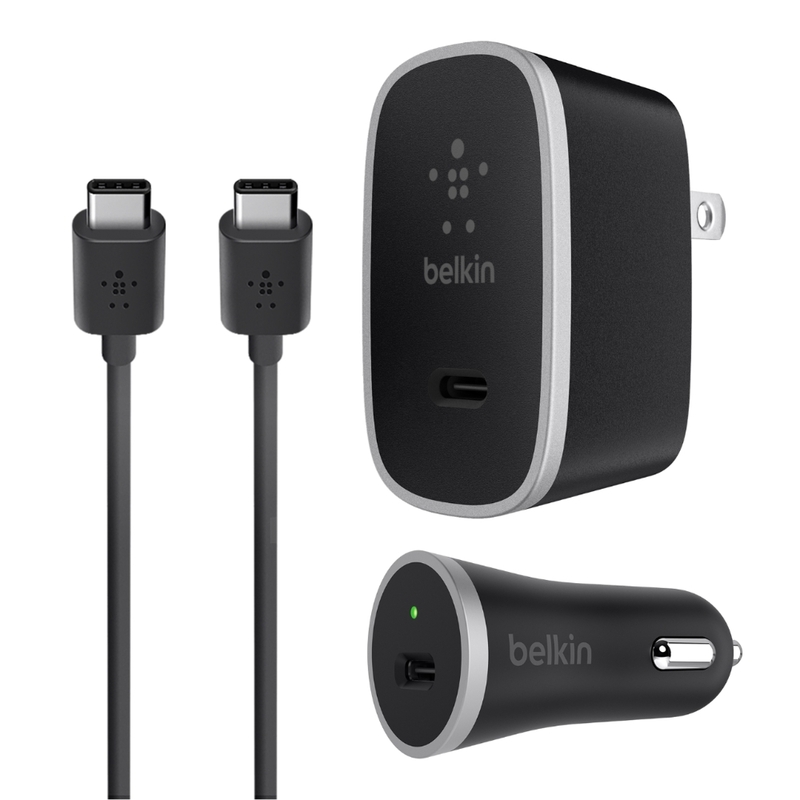 Stay charged at home and on the go with the included car charger, home charger, and USB-C cable. The USB-C cable has a reversible connector for easy transfer of photos and files. Rated 2 out of 5 by WillV87 from Rapid Charging not working on Google Pixel Recently bought this kit. Not sure If this is a Google Pixel, issue , Android issue or an issue with these chargers but neither the wall adapter nor car charger charge rapidly even though they exceed the specs for it. I have an older Belkin USB A car charger from about 4 years ago that works fine and my Pixel shows it's charging rapidly off that. I was expecting this product to charge faster, not slower.